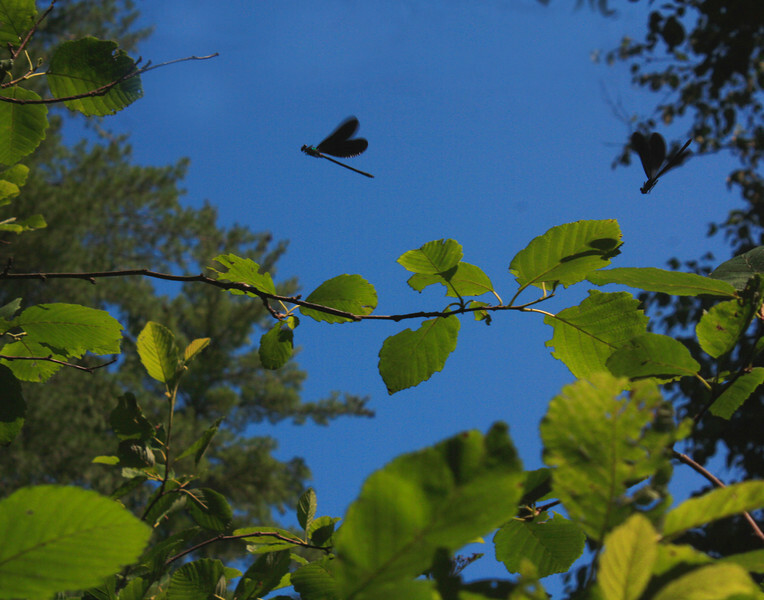 These damselflies were near the shore of Leisure Lake. They look so free as they fly around, almost bouncing through the air, but in reality they're just part of the food chain. Their freedom could end at any time.